Vice-Mayor Richard Fimbres and the City of Tucson Department of Transportation (TDOT) unveiled a new pedestrian crossing on Bilby Road, just west of Campbell Avenue at Sunnyside High School on Tuesday, January 15 with a ribbon-cutting ceremony. The new safety device is a pedestrian activated Rectangular Rapid Flashing Beacon (RRFB) intended to increase the visibility of uncontrolled marked crosswalks. Vice Mayor Richard Fimbres and the Ward 5 staff want to wish you and your families a safe and Happy Thanksgiving. The Ward 5 Council Office will be closed Thursday, November 22 and Friday, November 23. If you have questions or need to deal with an issue on Friday, November 23, please call the City Clerk’s Office (520) 791-4213. Vice Mayor Richard Fimbres asked Tim Thomure, Tucson Water Director questions about the water supply. 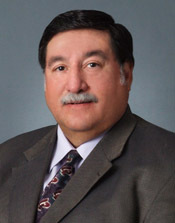 What follows is the responses Vice Mayor Fimbres received from Thomure. Tucson, AZ (September 13, 2018) – Friday, September 14th marks the fourth year that students, teachers, and parents from Los Amigos Technology Academy will be participating in Walk ‘N Roll Fridays, where organized groups walk and bike to school together. This on-going initiative sponsored in part by Safe Routes to School (SRTS), a program of Living Streets Alliance in partnership with the City of Tucson is one way that Los Amigos’ school community is making active travel an accessible option for students and their families. Los Amigos Tech Academy begins Walk ‘N Roll Fridays early in the school year so that students and families are encouraged to start healthy habits from the get-go, and they continue every Friday throughout the year. Walk ‘N Roll Fridays to school has anywhere from 90-200 students, parents, and teachers walking, scooting, and biking to school together on a given Friday. Lack of safe walking and biking infrastructure and disconnected pathways make active travel nearly impossible as a daily option, however, Walk ‘N Roll Fridays creates an opportunity students otherwise do not with the help of teachers and parents. With visible groups of walkers and bikers taking to streets like Drexel Road, their sizeable presence helps to signal to drivers to slow down. Yet, with the only route to school having discontinuous sidewalk, high traffic volume and speeds, and a barren dirt shoulder, the school community has expressed the need to “complete” the street with amenities like sidewalks, shade trees, buffered bikeways as a way to make walking, biking, and even using transit a safer and more comfortable option for families to use every day. For their Walk ‘N Roll Kick-Off this Friday, September 14th, the school is pleased to have special guest Councilman Richard Fimbres to accompany walkers and celebrate their commitment to create a healthier community together. Tucson Police Department will be present to support students on their journey to school. Los Amigos staff, students, and families will assemble at the parking lot of Walmart (2565 E Commerce Center Pl.) starting at 7:30 AM. Five different “Walking School Bus” routes, including one “Bicycle Train” (groups of school children walking and biking together with grown-up leaders) will meet up at Walmart to greet special guest walkers and lead the way to Los Amigos. Safe Routes to School (SRTS) is a national and international movement to create safe, convenient, and fun opportunities for children to bike and walk to school. On average, students can get one-fourth of their recommended daily physical activity simply by walking to school. Studies show that children who walk or bike to school arrive more alert and ready to learn. SRTS programs also reduce traffic congestion and pollution around schools, improve safety in school zones, and provide families and friends with opportunities to share time with each other and build connections within their community. Update on closure of Southbound Kino Parkway. Crews have removed the fallen artwork on the bridge that was blocking traffic going South on Kino. Also, crews have also removed the fallen tree on Westbound 22nd near I-10. Along with other City of Tucson offices, the Ward 5 Council Office will be closed Wednesday, July 4, to mark the Independence Day. Councilmember Fimbres and his staff wish everyone a happy and safe Fourth of July. The Ward 5 Council Office will reopen Thursday, July 5. As the former Director of the Governor’s Office of Highway Safety for Governor Janet Napolitano, we worked to decrease the number of fatalities and injuries due to impaired driving. The Fourth of July is one of America’s favorite holidays. Families and friends gather to celebrate our country with food, parades, parties, picnics and fireworks. And yet there is a very dark side to this great holiday. For many, the celebration includes alcohol, but the holiday quickly goes from festive to fatal when people choose to drive after drinking. Read more about Have a Safe Fourth of July! Tucson Parks and Recreation’s Activity Guide for summer 2018 has arrived, and copies will be available for pick up at any Parks and Recreation center, pool, or administration office by Monday, April 16. Copies also will be available at local libraries or can be viewed online at tucsonaz.gov/parks. The City of Tucson, including the Ward 5 Council office, will observe Presidents Day next Monday, Feb. 19. All City offices, except for emergency services, will be closed. City offices, including the Ward 5 Council office, will be open on Tuesday, February 20. The Ward 5 Council Office, along with other City of Tucson offices, will be closed Monday, January 15, in observance of the federal Martin Luther King Holiday. The Ward 5 Council Office will reopen Tuesday, January 16. Merry Christmas from Ward 5! Councilmember Fimbres and the Ward 5 staff want to wish everyone a Merry Christmas. The Ward 5 office, along with other City offices, will be closed Monday, December 25. The Ward 5 office will reopen on Tuesday, December 26. Read more about Merry Christmas from Ward 5! Councilmember Richard Fimbres, and the Ward 5 staff: Mark Kerr, Matt Pate, Lupita Robles and Mary Kuchar wish you a safe and Happy Thanksgiving. The Ward 5 Council Office will be closed Thursday, November 23 and Friday, November 24. The Ward 5 Council Office will open Monday, November 27. Recently, I had the privilege of attending the ribbon cutting of another new business opening up in Ward 5. ArcPoint Labs of Tucson was the news business, located at 6401 South Country Club. The Tucson Metro Chamber of Commerce, along with other business owners, officials from ArcPoint Labs parent company were also present for the dedication of Tucson’s newest business, which is starting with a half dozen employees with plans to expand next year. TUCSON, Ariz. – The Renaissance of the City of Tucson’s Council Ward 5 continued with the opening of another new business and the largest residential annexation in recent memory. Thursday, October 12, ArcPoint Labs of Tucson, opened their doors at their location at 6401 S. Country Club.